Do you want to get on the fast track to climate change mitigation? Choose wood as material for your next building! The EOS Member, the Swedish Forest Industries Federation, welcomes you to a day focused on wooden buildings and how they increase the opportunity to mitigate climate change and to reach the Paris agreement and the Sustainable Development Goals. Moreover, industrial wood construction brings benefits for rural as well as urban areas in Europe, and the people who live there: affordable housing, densifying cities, rural employment to name a few. 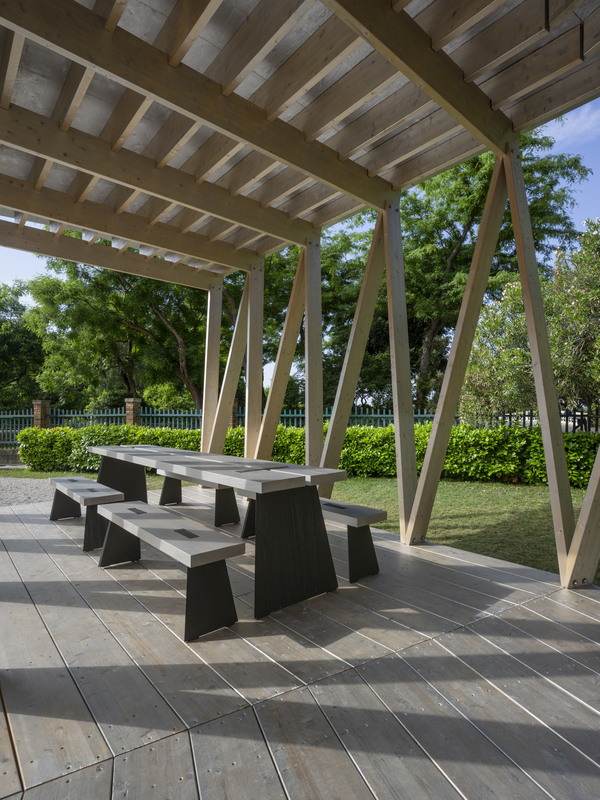 The Swedish Forest Industries Federation is hosting a program in the center of the Architecture Biennale in Venice, at Sierra dei Giardini where Swedish architects exhibit installations solely of wood from sustainably managed Nordic forests. Read more about the exhibition here. We will take this unique chance to offer you visits to the most interesting parts of the Biennale, but the main topic will be seminars and discussions around how industrial wood construction can be a powerful force in driving and growing the World’s bioeconomy. Some of the participants are Hannele Arvonen, CEO of Setra and Carina Håkansson, Director General of Swedish Forest Industries Federation. More information on program and speakers will follow. September 18th at 10 am–6 pm. Optional program on the afternoon and evening of September 17th. The Architecture Biennale in Venice, Italy.